Parkour is an activity, sport, and physical discipline. It’s where you run, jump, and climb rapidly in an urban area. Initially, the sport began in France in the 1980s, and originates from the word ‘parcours‘ which means route. Parkour in Egypt is not a very common sport as it has no governing group. Nevertheless, this ambitious group of young men and women are literally conquering all obstacles to prove themselves in a society where gender inequality and discriminatory attitudes are stubbornly persistent. 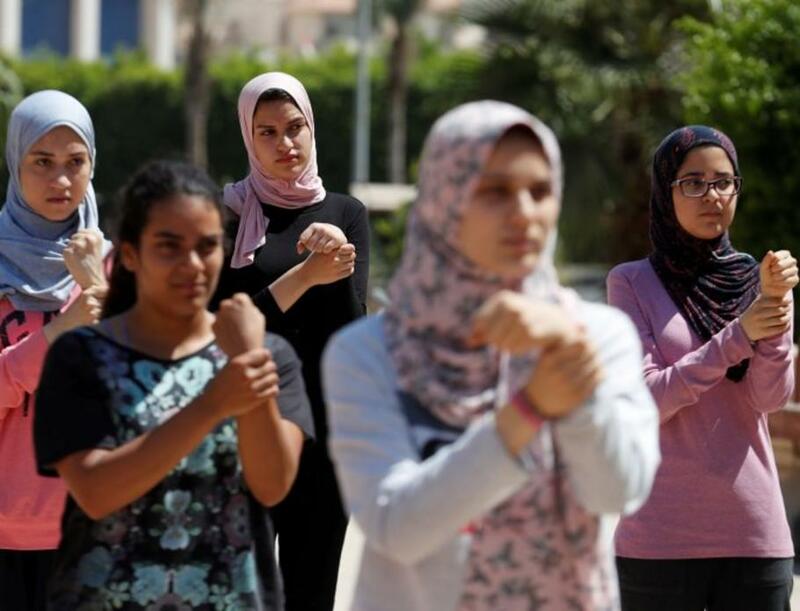 Parkour girls in Cairo aren’t letting their hijab be an obstacle preventing them from practicing what they’re passionate about. Although parkour is an activity that’s considered a bit unusual for women to partake in, in our conservative society, as it is considered improper for women to play sports in the streets, these girls are fighting against these stereotypes. Once a week these ladies gather at their usual spot, a park outside of Cairo which gives them space and the ability to start practicing, running, jumping, and climbing over barriers and walls. The sport is starting to gain popularity among women in Egypt, which may lead to the first Egyptian professional parkour team. WE SAID THIS: No obstacle is great enough in front of a woman’s ambition!